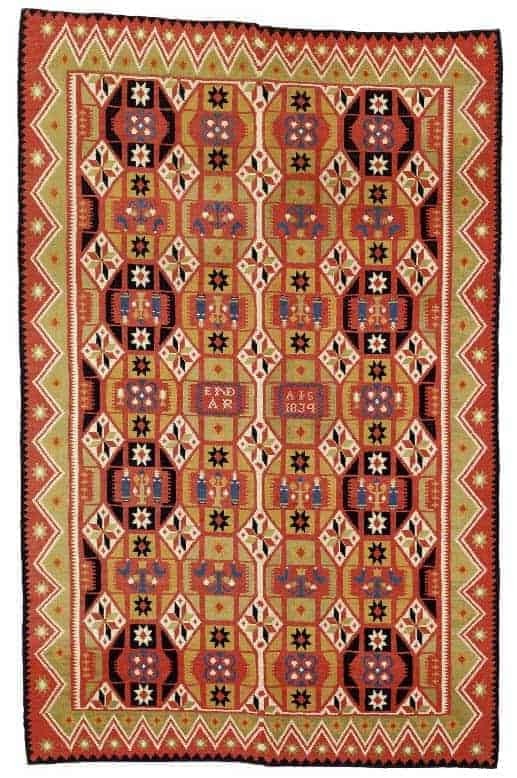 Bruun Rasmussen Auctioneers will hold their 70 years anniversary auction including carpets 28 November 2018 in Bredgade, Copenhagen. Their preview is open for the public 22-26 November 2018. 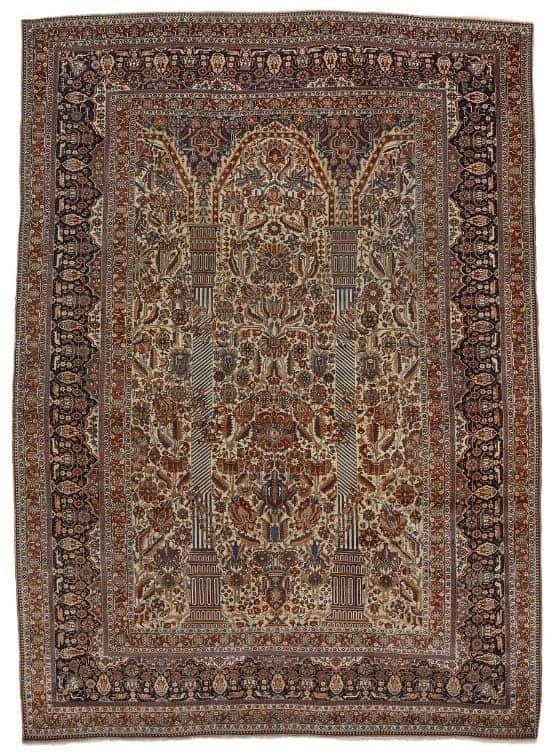 ‘My aim is to offer a wide range of pieces from the classical rug producing countries, a good mix of quality decorative rug for the discerning ordinary consumer, fine antique pieces and a handfull of international highlights’ says Bruun Rasmussen’s carpet expert Henrik Schleppegrell to Jozan Magazine. 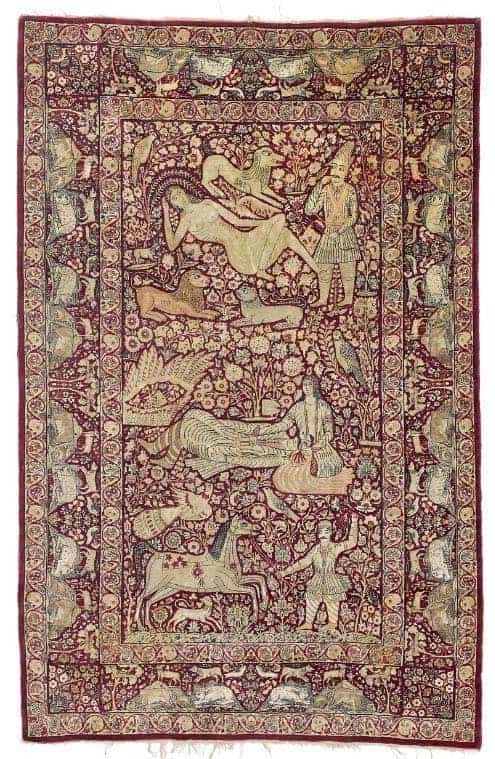 Among the highlights is a 16th/17th century Turkish Ushak medallion carpet, an arch design Kashan Mothashem carpet and a Kashan Tafazoli souf silk rug. 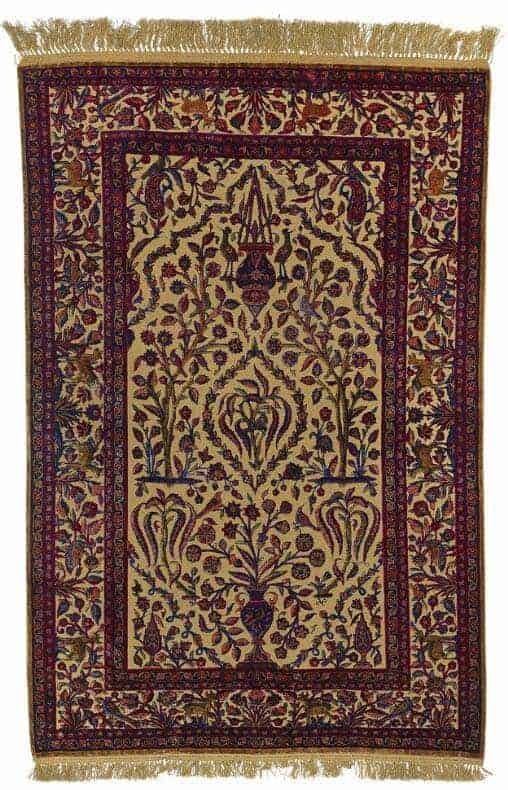 A Kashan Mothashem carpet, Persia. Column and arch design on an ivory field. knotted with Kork wool. C. 1900. 357 x 260 cm. Est. 33.500.- Euro. 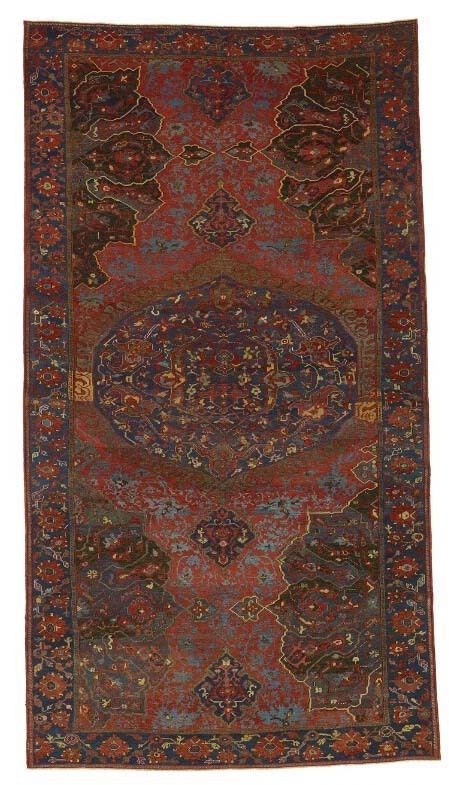 A silk Kashan Tafazoli souf rug, Persia. Early 20th century. 156 x 105(ex. front weaving and fringes) cm. Est. 16.000.- Euro.